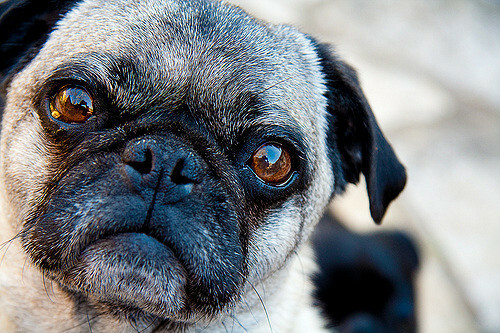 The Pug breed, also known as Dutch Bulldogs, Chinese Pugs, and Dutch Mastiffs, are a dog breed that is very old. It’s thought that this breed is at least 2400 years old, and the breed comes from the country of China. 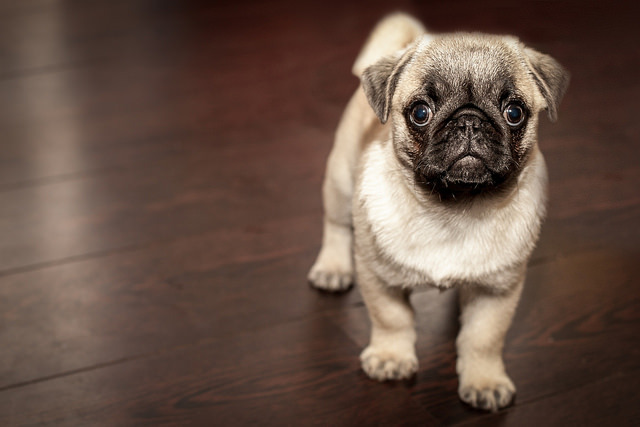 While the meaning of the name is unknown, it’s been thought that it may be taken from the Latin word, “pugnus,” which means fist, or it could be a slang word for “monkey.” Pugs are very easy to recognize due to their prominent eyes and their stocky bodies. These companion animals have been popular pets of European and Chinese royal families and monks. Since the breed is small and doesn’t require a lot of exercise, these dogs are perfect for condos and apartments. With an alert, lovely nature, this breed makes a perfect pet for individuals of every age. 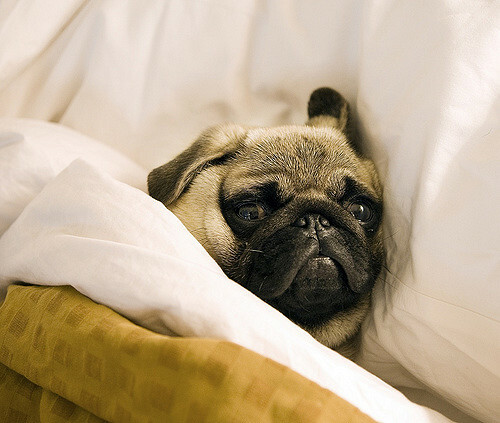 The Pug is thought to have its origins back in China well before the 6th century BC. Within Confucius’ 6th century BC writings, there’s a description of a breed that is very close to the pug, and it’s thought that this type of dog was a favorite among the rules of the Shang dynasty. Soon, the popularity of Pugs began to spread, and the breed became popular among Tibetan Buddhist monks. Since much of the writing and artwork that showed these early Pugs was destroyed, the exact account of the breed’s origin and its rise to popularity throughout Asia is greatly unknown. The breed was imported to Europe by the 16th century by the Dutch East India Company. In fact, the Pug became the House of Orange’s official dog in 1572, when a Pug supposedly saved the life of the Prince of Orange by giving him a warning that assassins were coming. Once William and Mary of Orange rose to the throne of England, they brought this breed along with them. At this point, Pugs were bred with English Toy Spaniels, something that affected the breed forever. 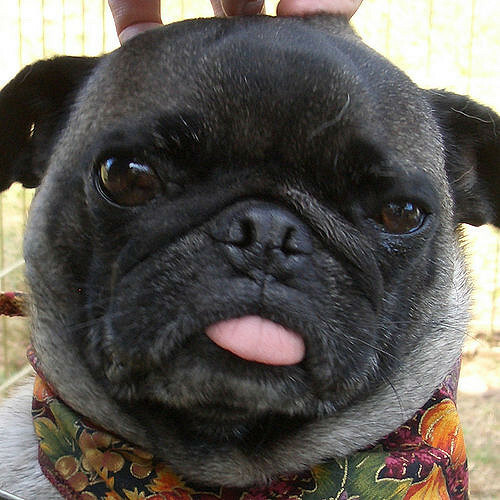 The Pug continued to increase in popularity across Europe, which was seen in the appearance of the breed in Italian and Spanish artwork. During the 19th century, these dogs continued to have a relationship with British monarchy. The breed was favored by Queen Victoria, who bred Pugs and kept many of them for herself. It was the breeding done by Queen Victoria that resulted in the Kennel Club being established in 1873. During this era, Pugs had longer legs and cropped ears, a bit different from the dogs we see today. 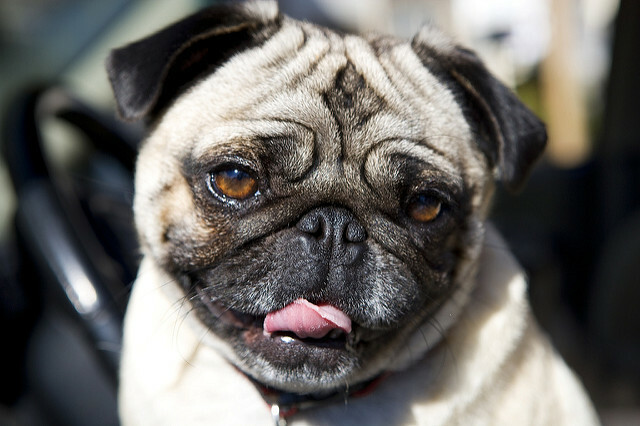 Most believe that the breed standard we have today comes from Pugs that were imported from China near the end of the 19th century. 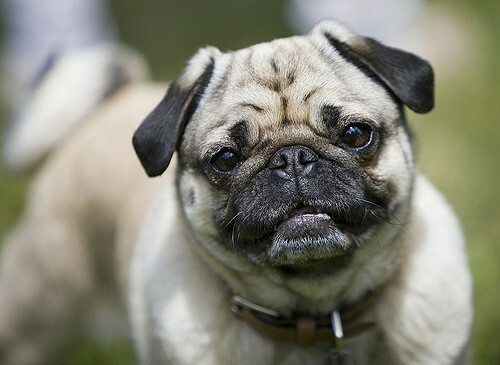 Pugs are popular pets and show dogs, and they are well-known for their soft ears, their black face mask, and the prominent eyes that tend to bulge out from their face. This breed features small teeth that usually have an under bite and black, short muzzles. They also have a tightly curled tail that usually rests on the top of the back, while some dogs may have a double curl in the tail, a trait that is very desirable on dogs for the show ring. The Pug has a body that is sticky, squared, and thick. When they are mature, they have a muscular top and a slim waist. They have short, straight, strong legs that provide the breed with a distinctive gait that looks a lot like a waddle. This breed features a soft, sleek coat that comes in various colors. More common colors include fawn and black. However, they can come in apricot, and rarely, they may come with a silver coat. Every color features the thin black line on the spine and the black face mask. Their coat is often doubled layered and short, featuring a velvety, smooth layer of hair on top that’s a bit longer, along with a fluffy, short layer beneath. For this reason, these dogs shed a lot. 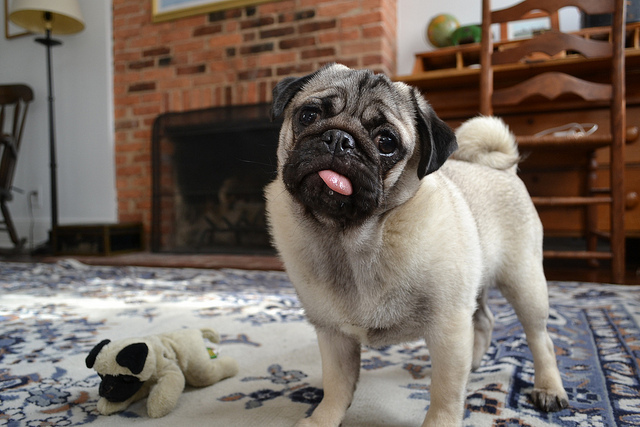 Since Pugs are fairly small, they are considered to be in the toy class. Males generally range between 12-14 inches tall and weigh in at 13-20 pounds. The females are a bit smaller, measuring from 10-12 inches in height and weighing in between 13 and 18 pounds. Since the breed enjoys treats and food, they have a tendency to be obese. 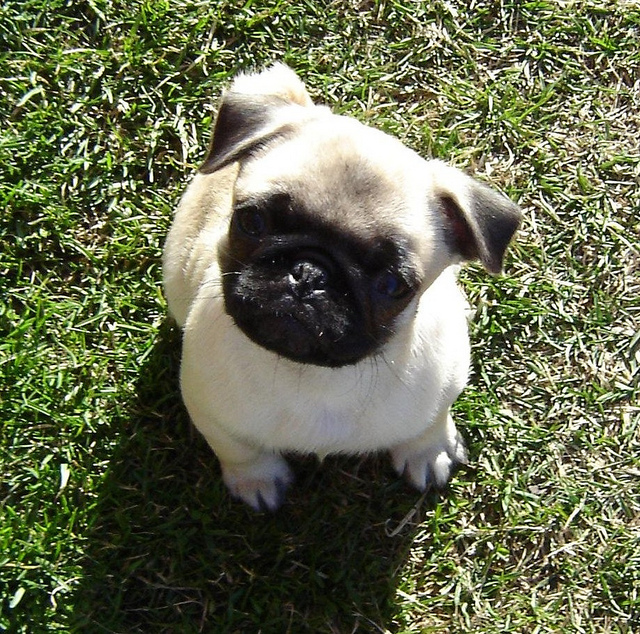 Full of energy and happy, Pugs are a fun loving, vivacious breed that have plenty of personality. These dogs enjoy sticking close to their owners, but they do have a streak of stubbornness. They enjoy napping, but they get animated easily and like to play. The Pug does best with families where they are part of the family and they get plenty of affection and attention. Many people call pugs “wash and go” dogs, since they have coats that don’t need fancy trimming or detangling. They don’t have a lot of body odor or excess drooling, so they don’t need to be shampooed frequently. However, it’s important to begin grooming this breed when dogs are young so they get used to this process. Not only does regular brushing help eliminate excess hair, it helps to build a bond between the owner and dog. Grooming a Pug includes brushing their teeth, wiping the facial wrinkles, trimming toenails monthly, wiping the ears, and bathing occasionally. To avoid excess shedding, brushing these dogs a couple times a week is ideal. Since these dogs have skin that is prone to irritation and dryness, they should only be shampooed as needed. The Pug is not generally used as a working dog. However, these dogs are excellent companion dogs and are often great competitors in the show ring.